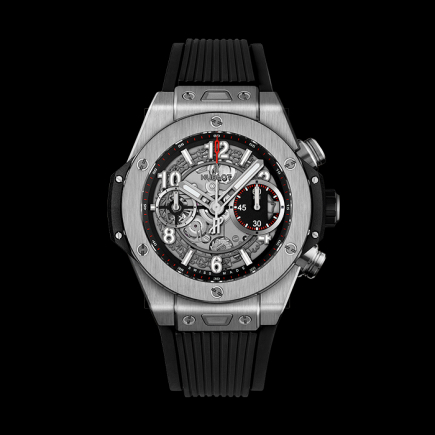 The Big Bang Ferrari Limited Edition (45.5 mm in diameter) houses a titanium & black ceramic case with a cylindrical bezel that dramatically showcases the in-house flyback chronograph UNICO movement (can be reset at any time) visible through the sapphire dial. 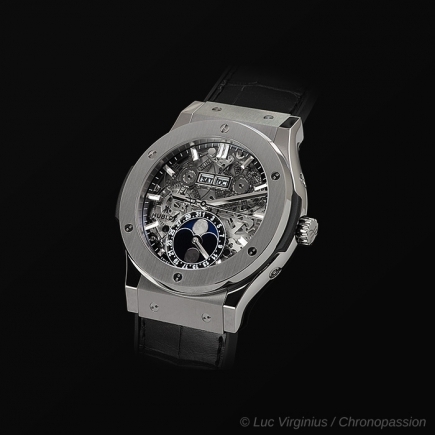 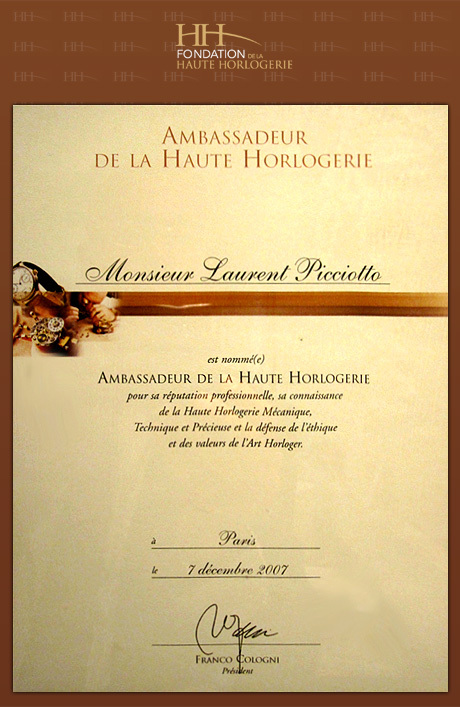 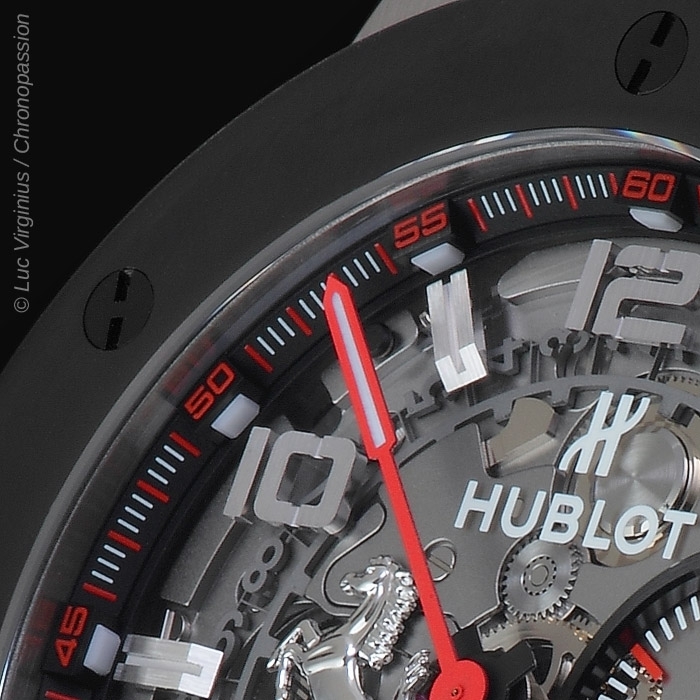 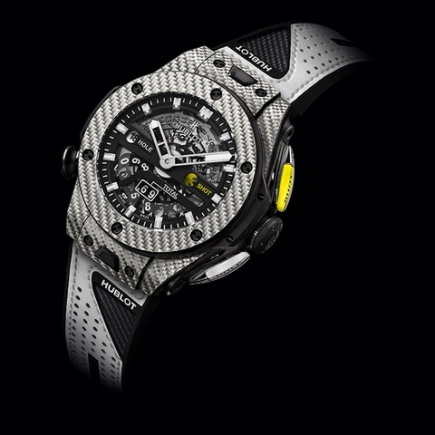 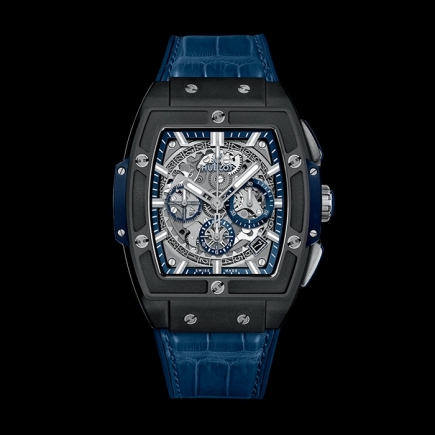 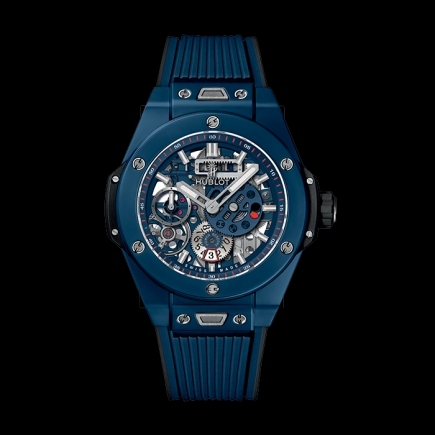 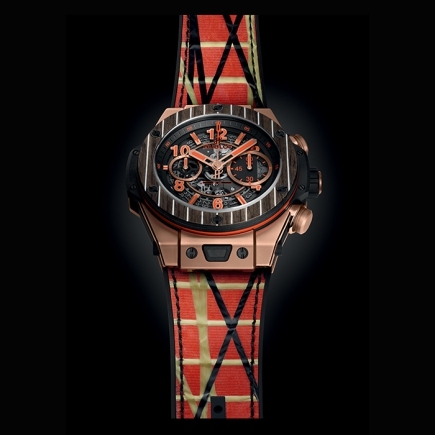 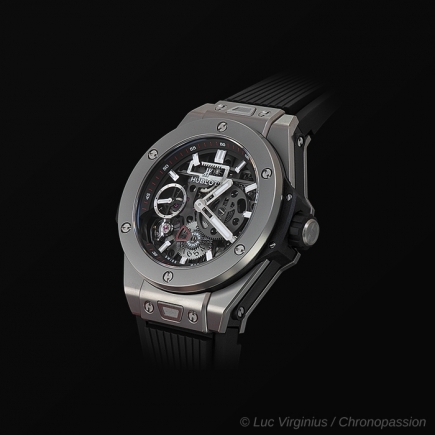 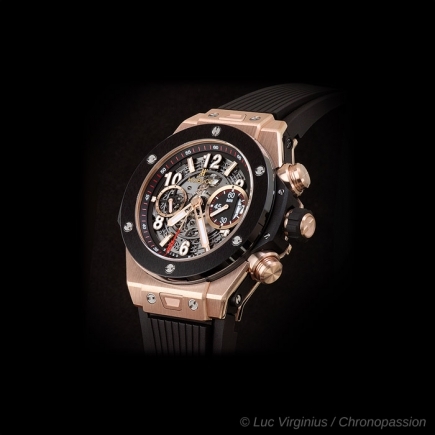 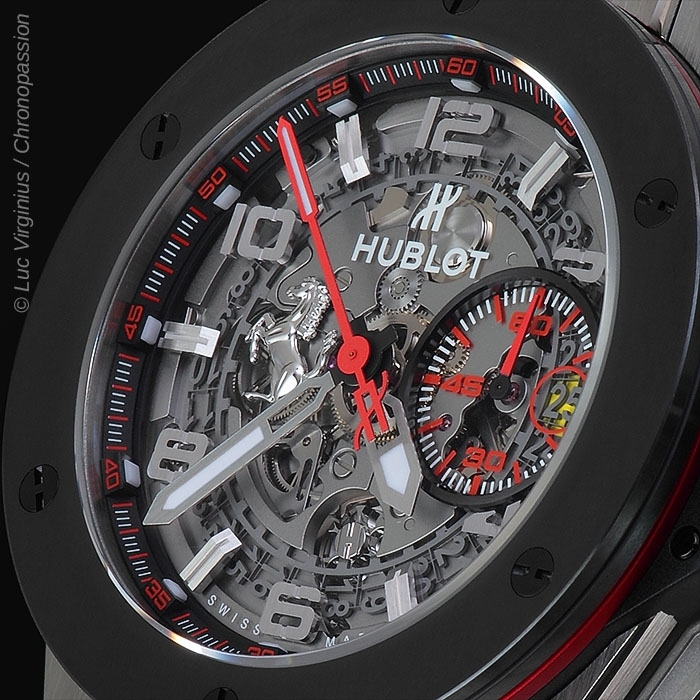 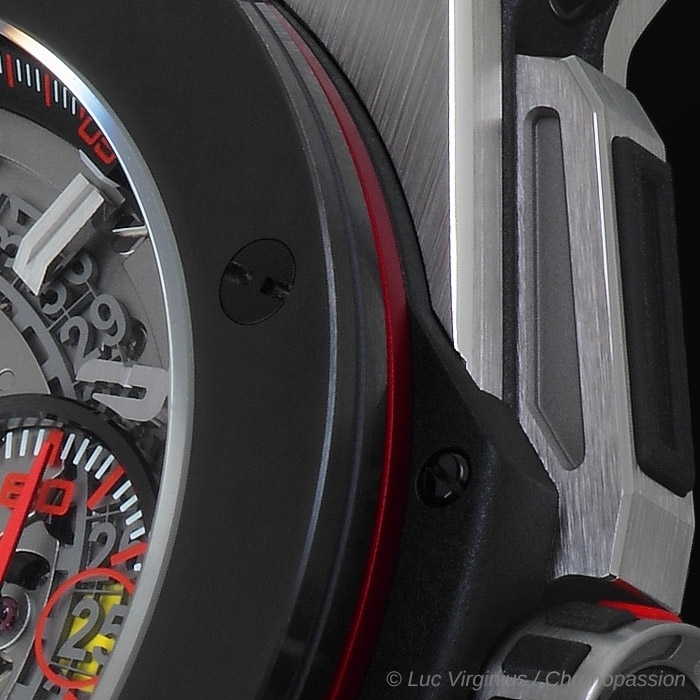 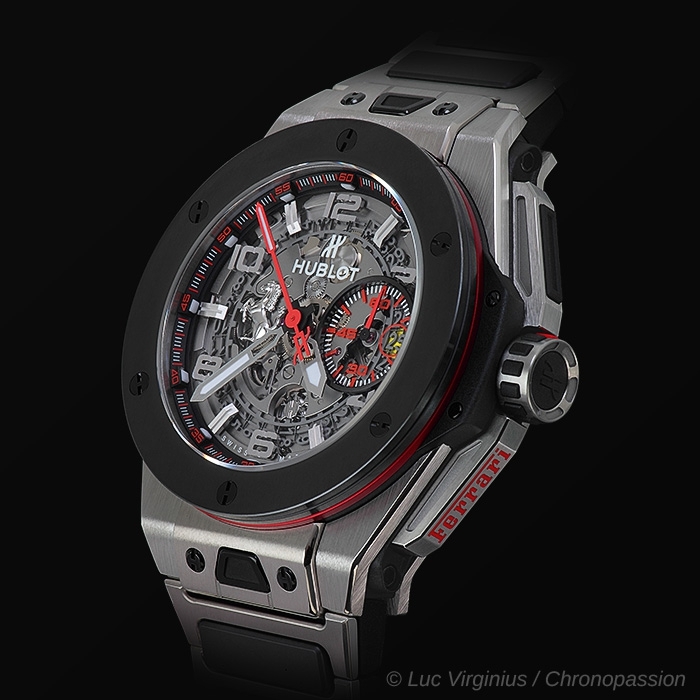 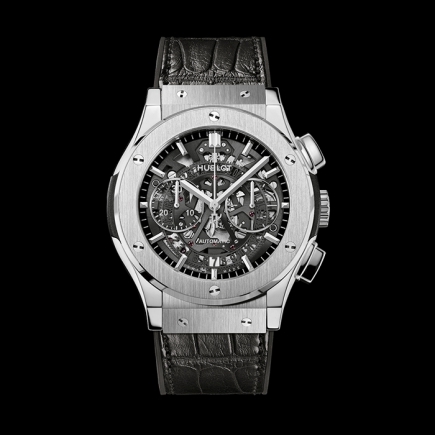 The UNICO movement can be compared to the best possible engine to power a racing car, and that it was selected, then designed and developed by Hublot to power the Big Bang Ferrari. 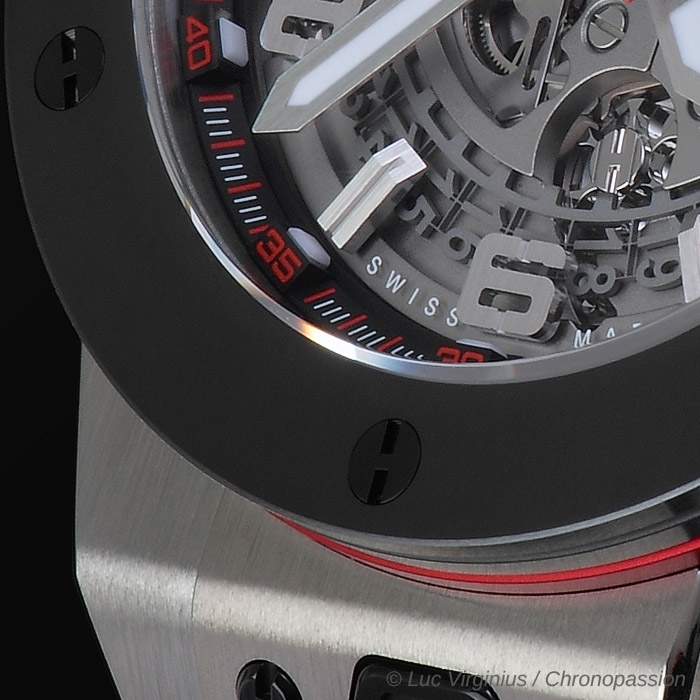 With no fewer than 330 components, the column wheel and dual horizontal coupling appear on the dial. 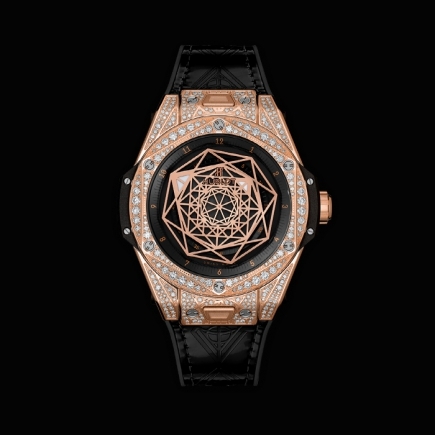 Frequency of 28,800 vibrations per hour. 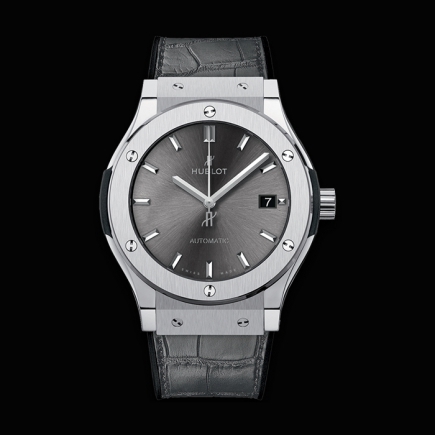 72 hours of power reserve. 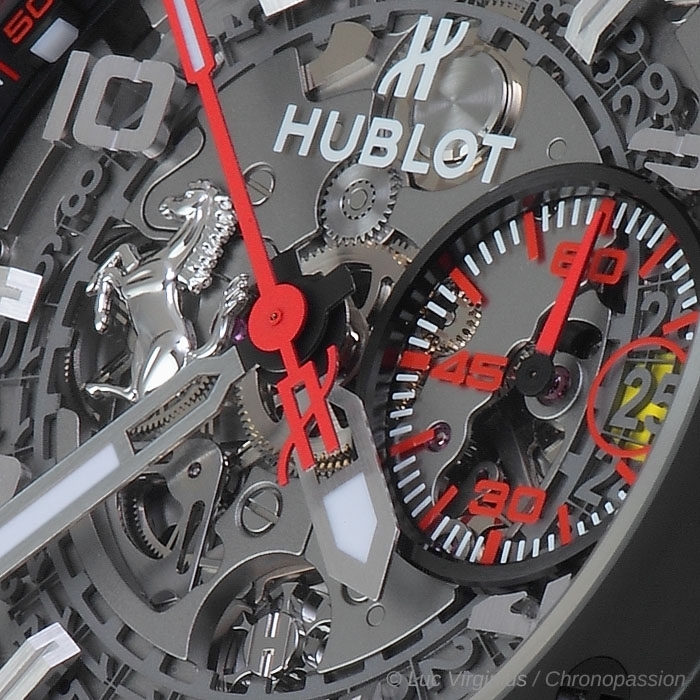 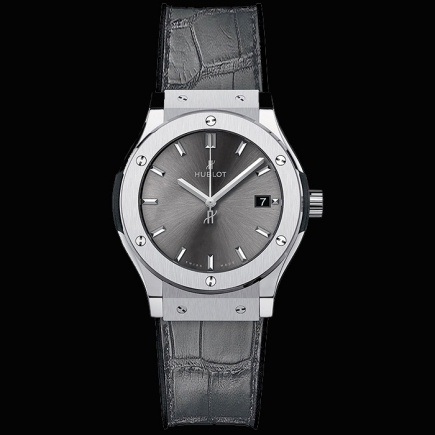 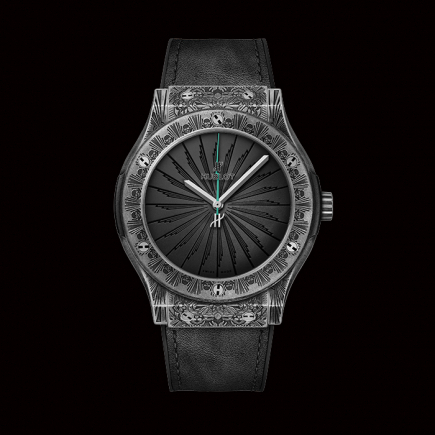 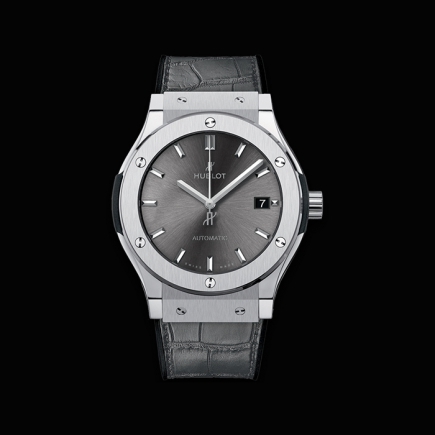 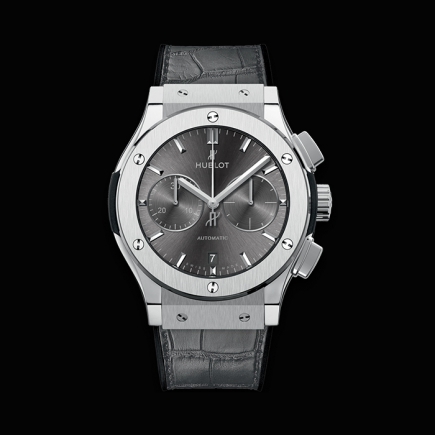 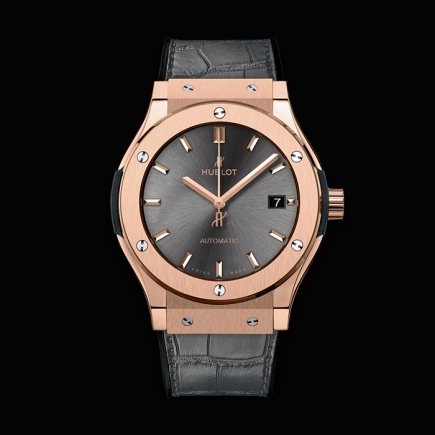 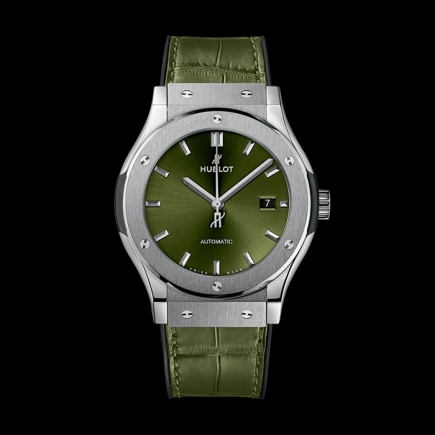 An indexed crown (with Hublot’s ‘H’ logo automatically positioning itself to remain in line) features elongated push buttons, fixed along a rotating axis like the pedals in a car whilst carbon inserts give the case distinctive look. 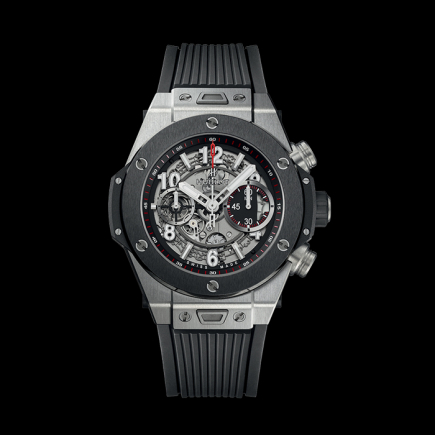 Each timepiece will come with two interchangeable straps, in black or white Schedoni leather stitched onto black rubber, with an innovative quick-change system inspired by the safety seatbelt mechanism. 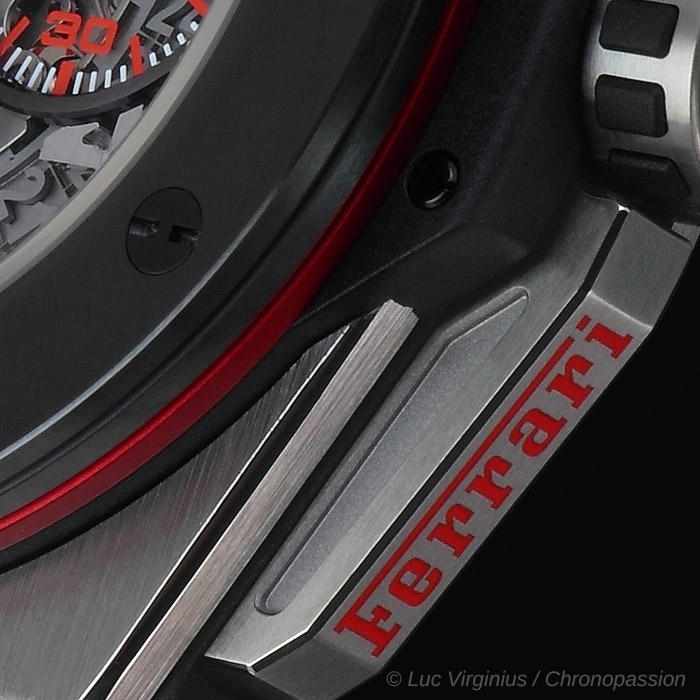 The red stitching is a nod to the signature upholstery craftsmanship typical of Ferrari. 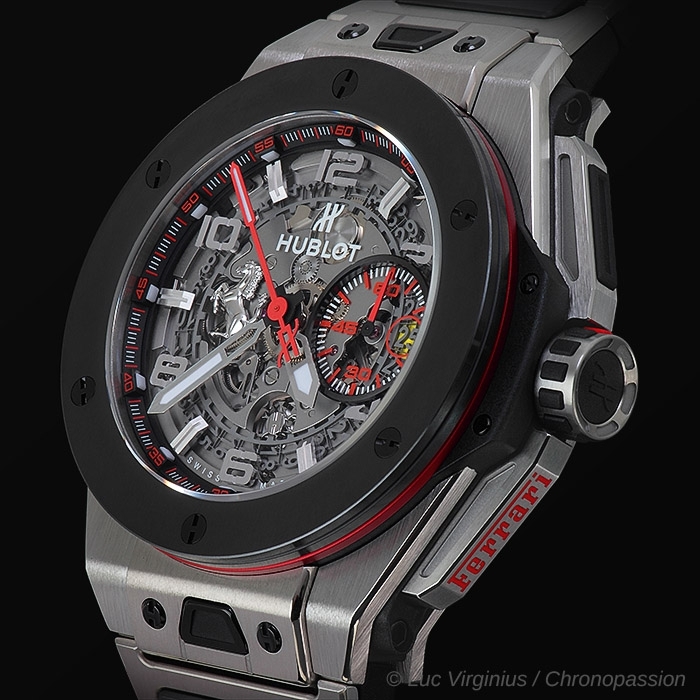 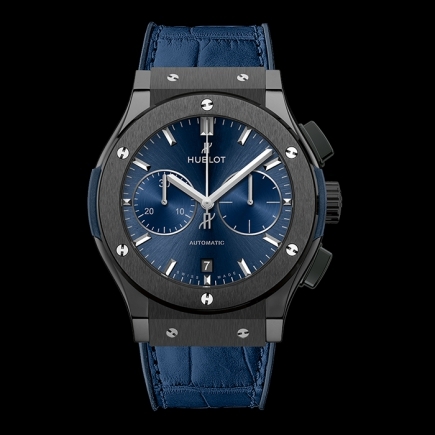 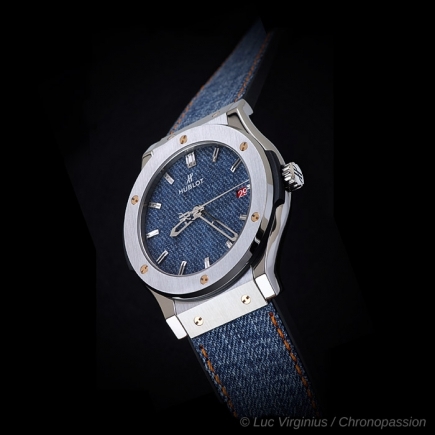 The absence of superfluous accessories brings out the fusional and rational aspects of the Big Bang Ferrari unique design, a pure expression of Hublot value of The Art of Fusion with innovative spirit from Ferrari.